In other cases, federal money that recipients already receive annually - subsidies for affordable housing, for example - was reclassified this year as stimulus spending, and the existing jobs already supported by those programs were credited to stimulus spending. Some of these recipients said they did not even know the money they were getting was classified as stimulus funds until September, when federal officials told them they had to file reports. The stimulus bill - a $787 billion package of tax breaks, expanded government benefits, and infrastructure improvements - was signed into law in February by President Obama, who said it would create and save jobs by preserving local government services and spurring short- and long-term economic development. To be sure, the legislation has accomplished an important goal: funding public services facing the ax after the recession created gaping shortfalls in state and local government budgets. So Worcester and Lynn, for example, were able to keep police officers targeted for layoffs, schools across the state lost far fewer teachers, and community agencies preserved staff in the face of mounting demands for social services. The president also said the legislation demanded an unprecedented level of accounting from recipients, who report on the uses of the money and the jobs via a massive online system, www.Recovery.gov. Clearly, the first comprehensive accounting had shortcomings. Some agencies that received stimulus money reported jobs for work that had not started. The Greater Lawrence Family Health Center reported 30 construction jobs “have been created,’’ even though it hadn’t begun construction on a $1.5 million renovation and expansion. Grant administrator Beth Melnikas said the health center does expect to hire 30 workers. There was often variance among recipients of the same source of funding. Some did not report any positions retained; others did. Some used different methods and got different results. For example, the City of Waltham said a $630,500 solar panel installation on the roof of City Hall created 10 jobs - even though the work had yet to begin. 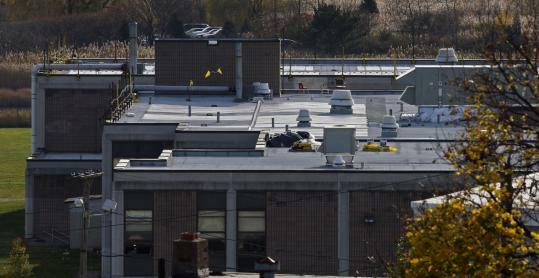 Revere spent $485,500 in stimulus funds to install solar panels on the roof of a city school. Revere’s job count? 64. The city’s project consultants used a different formula than the one the federal government recommended. Another source of confusion over the job counting is because Congress this year labeled as stimulus initiatives several longstanding programs, such as student work-study and low-income rental subsidies, that it otherwise regularly funds in annual appropriations bills. In some cases Congress increased the funding amount, too, so the stimulus legislation was a vehicle for expanding government support for people in need. Regardless of its label, the recipients treated the funding as business as usual. Only in September, when government officials told them they had to report on their stimulus spending, did they confront the issue of how to account for jobs associated with the money they received. Massachusetts property owners received $75.5 million in rental subsidies from the stimulus bill, for a reported total of 437 jobs. Recipients of 27 of the 87 contracts reported zero jobs. The others, meanwhile, simply reported the number of employees working at the property. If they received two contracts, for a larger property, they reported the employee figure twice. For example, Plumley Village East in Worcester listed 23 jobs for each of its two contracts for a total of 46 jobs, even though it has only 23 employees working throughout the complex. “There was some confusion about what they were really looking for,’’ said Karen Kelleher, general counsel for Community Builders Inc., which runs Plumley Village. Those overstated jobs are going to disappear from future counts. The Obama administration has recently determined the rental subsidies don’t have to be reported under the stimulus bill. One of those property owners, meanwhile, is frustrated by his experience with the legislation. Robert Ercolini manages a 201-unit affordable housing development in Plymouth. After being notified his annual rental subsidies were classified as stimulus spending, Ercolini renewed a request to the US Department of Housing and Urban Development for more than $1 million to fix up the property, reasoning he would be creating jobs by hiring contractors. He was refused. Matt Carroll of the Globe Staff contributed to this report. Jenn Abelson can be reached at abelson@globe.com. Todd Wallack can be reached at twallack@globe.com.